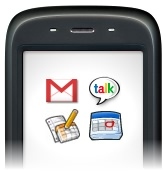 Is Google going to introduce its Google phone? According to mobile industry insiders and analysts, Google is developing its own mobile phone which will tentatively be available for sale in 2008.Google might be working with HTC and mobile giant Orange to materialize this low cost and internet-connected mobile phone. Both Orange and Google have kept perfectly silent on this matter. Nevertheless, Google spokesman revealed that mobile is an important area for Google and Google will continue to focus on creating applications as well as establishing and growing partnerships with these industry leaders to develop innovative services for its users worldwide. If this rumour is true, it will benefit a lot of users. News leaked out from Google disclosed that this new Google phone is able to receive emails, handle voice-over-internet calls (VOIP), and other internet based functions. This phone will help users to synchronize their emails easier, make cheaper calls and even enjoy short movie clips from YouTube! All these can be done without a PC. The launching of Google phone will definitely affect other mobile phones’ market share. This news is spreading fast and it seems to be pretty accurate. Having said that, feverish speculations about Google products have been proven wrong before. Previously Google was widely reported to be building its own line of personal computers. However, what was actually produced was a set of free software programs designed to make any existing Windows PC easier to use.